Tim Kosiara imagines his Century Park Learning Center students strapping on snowshoes and making their way across the frozen tundra to stay in shape. Teacher Missy Hadaway, also at Century Park, envisions her sixth-graders performing a play about a child who suffered the effects of the U.S. bombing of Hiroshima, Japan in 1945 — teaching them simultaneously about history, the performing arts and cultural awareness, among other things. Sara Peterman, sixth-grade teacher at East Elementary, wants to lead a group of seven teachers in every grade to bring mindfulness practices to students, as a way to support the school’s Positive Behavior Intervention Supports program and the “be nice” initiative. 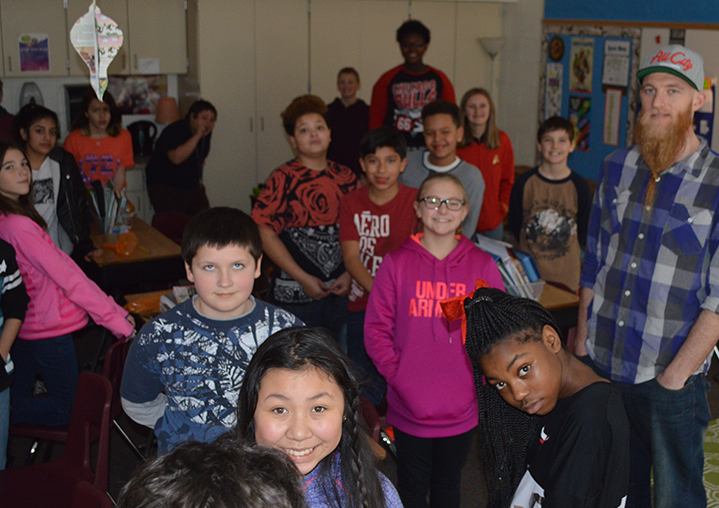 Their visions will become reality thanks to the Grandville Education Foundation, which recently awarded more than $14,600 in grants to 17 teachers across the district. The GEF, which has awarded more than $210,000 in grants, is funded through private donors and businesses. Its largest fundraiser is the Taste of Grandville. The organization recently held a partnership breakfast aimed at getting local businesses to help school leaders better prepare students with job skills they say are necessary. Kosiara said he currently is getting prices for up to 30 pairs of snowshoes sized to fit third- and fourth-graders. The hope is to be flattening snow by January or February, weather permitting.